That’s remarkable considering the astounding images and videos we have seen captured around the capital recently. 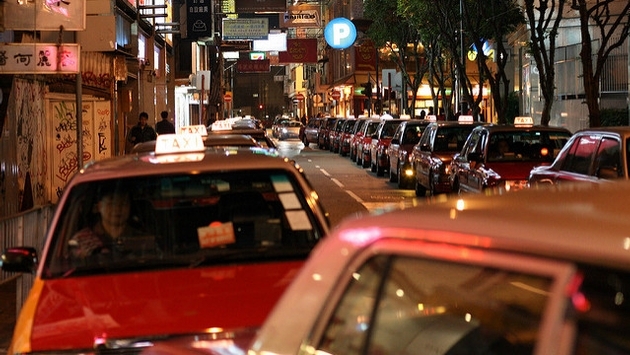 The National Business Daily (h/t Mashable) reports government officials are pushing a citywide mandate for thousands of taxis to be replaced by electric versions, seriously decreasing the amount of pollution created by classic gas-guzzling automobiles. The report explains the extent to what officials are willing to go in order to stave off rampant smog pollution that has become a far too regular occurrence in Beijing. This December, we offered images taken by locals and tourists from China’s more severely polluted locales. Simply, the sights were astonishing, illustrating the smog that comes in to muddy the normally bustling city. READ MORE: Will Trump's New Travel Ban Derail US Bid to Host 2026 World Cup? Of course, an undertaking of this size means a boon for automobile makers. The report states the cost of slowly changing the ground transportation infrastructure over to electric means expense in the neighborhood of nine billion yuan, or $1.3 billion. This is thanks, in large part, to the fact newer electric models are twice the cost of cars that run solely on gasoline in China. Essentially, officials want to slowly weed out the classic models and change over about 70,000 cars to electric autos that would not only limit the amount of smog in the city but also gradually garner the addition of charging stations. Something this drastic could very well change the outlook of the capital and force its drivers to consider switching their own methods of transport to electric. Clearly, something has to be done as the city nearly disappears under a cloud of filth when the smog gets too severe.